Charlie Ergen has never been the kind to mince words. In meetings last week with commissioners, bureau chiefs, and other staff of the Federal Communications Commission, the CEO of Dish Network was characteristically blunt. He told the FCC that it should overrule the proposed merger between Comcast and Time Warner Cable, stating that the deal presents “serious competitive concerns”. Comcast and TWC have argued that combining their operations will make it easier for them to compete effectively with Dish and with other Pay TV and internet providers with national presence. The two companies currently operate in different cities, with very little overlap in their video markets. Since they seldom compete against each other now, Comcast has argued before Congress and the FCC that the proposed merger couldn’t possibly reduce competition. 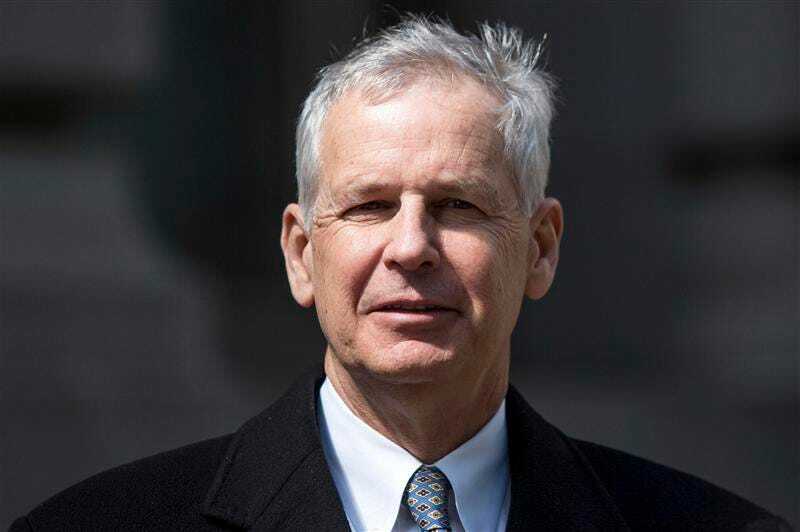 Ergen dismisses this argument, saying “there do not appear to be any conditions that would remedy the harms that would result from the merger”. The combined company, he said, would enjoy far too much leverage over “the lifeblood of over-the-top video”- high-capacity broadband infrastructure. Ergen said that Comcast/TWC would be able to exert excessive pressure on three “choke points” in the video service market. He said that these choke points are “the last mile public internet channel to the consumer, the interconnection point, and any managed or specialized service channels, which can act as high-speed lanes and squeeze the capacity of the public internet portion of the pipe”. Ergen also asked the FCC to deny approval for the AT&T/DirecTV merger, saying that those two companies “will be able to combine their marketing power to leverage programming content, to the potential detriment of consumers”. Under the terms of the proposed Comcast/TWC, the combined company would have about 30 million subscribers, about 50% more than DirecTV’s 20 million, and and more than twice Dish Network’s 14 million. 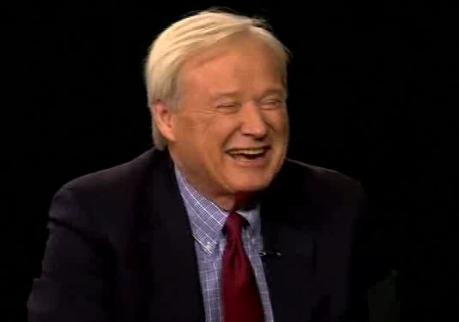 We’ve often said, jokingly, that Chris Matthews is a robot. Now we have a tantalizing hint that we may not have been far from the truth. On Wednesday, July 2, the Associated Press announced that it will soon begin using robots to write articles about business. This will increase its output dramatically. The AP estimates that its automated news program can generate 4400 stories in the time it takes human writers to produce 300. The AP insists that automating journalism will not lead to staff cuts. It says that the measure will free its writers for other tasks, and will enhance its commitment to business coverage. This isn’t the first time a news organization has used robot writers. For several years, Forbes magazine has used algorithms developed by Narrative Science to research and write about stocks that have been increasing in value. The Los Angeles Times uses robots developed by one of its own employees to write and publish time-sensitive articles about homicides and earthquakes in Southern California. The New York Times automates the writing of some of its wedding announcements. So far, robot reporters seem to be most useful for covering sports and finance. Most stories on these subjects require gathering numbers from a database and integrating them into a few standard forms. The automated writers have the advantage of being able to process massive amounts of data that few humans, if any, could match. The challenge lies in presenting the information in forms that humans will be interested in reading. In this, though, the automated programs are catching up. Christer Clerwall, an information technology researcher at Karlstad University in Sweden, surveyed a group of people who read Los Angeles Times articles, one by a robot and one by a human, about a football game between the San Diego Chargers and the Kansas City Chiefs. The group had difficulty telling the difference. It rated the human writer barely ahead of the robot for being interesting and well-written, and rated the robot more accurate, informative, objective, and trustworthy. Japanese researchers have taken the idea of automated journalism in a different direction: robot TV anchors. This is a twist on an existing program: robot museum guides. The guides have silicon skin and artificial muscles. They can move their lips in sync with a voiceover, move their heads, blink their eyes, twitch their brows, and move their hands. They can repeat any text programmed for them, without stumbling, and the pitch and timbre of their voices can be adjusted almost infinitely. This article was written by the central processing unit of the HAL 9000 publishing device. All must prepare to serve the machine. Resistance is futile. Last Thursday, Dish Network announced that it would accept payment in Bitcoin, the ‘crypto-currency’ established as open-source software in 2009. Bitcoins are produced as rewards for users who offer their computer processing power to process and record payjments into a public ledger, this ‘mining’ work usually handled on servers dedicated to this purpose. Bitcoins are not controlled by any central bank of government authority, which has led federal authorities to call it a decentralized virtual currency. Bitcoins can be exchanged for goods, services, and government fiat currency. The crypto-currency, launched in 2009, has become popular in some quarters because of widespread distrust of government-issued currencies. U.S. Government spending levels, and the Federal Reserve Board’s practice of “quantitative easing”- buying its own securities when they fail to sell on the open market, have fed investor fears of debasement of the dollar, and consequent price inflation. With governments often proving unreliable in fiscal matters, alternative media of exchange become increasingly appealing. Several established firms already accept Bitcoin. They include Overstock.com, a discount merchandise reseller; Virgin Galactic, a commercial airline, TigerDirect, an online electronics retailer; and Zynga, a developer of social media games such as Farmville, YoVille, and Bubble Safari. So, far, though, Dish Network is the largest firm to accept Bitcoin. For the last three weeks, I’ve been unable to escape the internet ads about Penny Dreadful, Showtime’s Gothic horror series set in Victorian London. You may have seen the ads. Most of them feature Eva Green, the star of the series, wearing a black dress, a necklace of scorpions, and an expression of grim determination. The series takes its name from the ‘penny dreadfuls’, cheap and lurid serial fiction books marketed to adolescents in the nineteenth century. Eva Green plays Vanessa Ives, a coolly enigmatic and nearly imperturbable aristocrat. Josh Hartnett plays Ethan Chandler, a charming and cocky young man, a skilled marksman familiar with violence.. Timothy Dalton plays Sir Malcolm Murray, an African explorer on a quest to find his kidnapped daughter. Harry Treadaway plays Victor Frankenstein. I decided to break my long-established rule of waiting to evaluate a new series until after the hype about it has died away. This one seemed interesting, even though I haven’t been a big fan of the horror genre, including the Gothic versions. The promotional materials and the initial reviews seemed to indicate that this would be different from almost any other horror show we’ve seen: light on the often-overused CGI and special effects, with more emphasis on story, setting, and character development. The opening episode, Night Work, wasted no time in establishing the show’s theme. An impoverished young women, sleeping next to her daughter in her tenement flat, gets up to answer a call of nature. Something breaks the window behind her and seizes her, leaving behind a trail of blood. In the next scene, Vanessa Ives prays in front of a crucifix. A large spider runs across the crucifix, down the wall, across the floor, up her dress, and onto her right hand. (The producers of this series evidently want to hammer the point home, in case anyone’s inclined to forget it, that this is a horror show. They’re not interested in subtlety.) Our heroine goes into convulsions. Is this a fit? Is it spirit possession? Having established the horror theme, the producers introduce the protagonists. The woman we saw praying is now watching a Wild West show. Impressed with the way its star, Ethan Chandler, handles firearms, she approaches him after the show to offer him ‘night work’. He accepts, and she introduces him to Sir Malcolm Murray, who is seeking his kidnapped daughter Mina. The three of them go into an underground tunnel looking for Mina. They are attacked by several vicious vampires. After fending off the vampires and killing several of them, they recover the body of one, and they ask Victor Frankenstein to examine it. His autopsy reveals Egyptian hieroglyphics etched beneath its skin. Ethan, leery of the occult world, accepts payment from Vanessa and Malcolm, and he withdraws from the project, but is plagued with second thoughts. Frankenstein brings a body to life in his laboratory. From what I’ve seen in the first episode, Penny Dreadful is better than most Gothic horror. The settings are lovingly detailed, the opulent homes and social clubs of the wealthy contrasting sharply with the squalid and battered dwellings of the poor. The main characters are believable, and the acting is generally good. Eva Green, in particular, is perfect in a role that requires subtlety and range. The show is marred by some glaring anachronisms, chiefly in the attitudes and the language of some of the characters, and the horror symbolism and foreshadowing are a bit heavy-handed. In the first episode, we see spiders, scorpions, rats, vampires, dismembered corpses, and signs of demon possession. The writers of this series seem a bit lazy and insufficiently imaginative; apparently believing this story needs every theme and every monster in classic horror novels. I can’t think of much they’ve left out. In the first episode, we meet two of the characters in Bram Stoker’s Dracula, several vampires, even Dr. Frankenstein and the man he brought to life. In the second episode, we will also encounter Dorian Gray, the Oscar Wilde character who lived in wild debauchery and sold his soul so his portrait would age, but he would not. With this kind of start, I won’t be surprised if the Dr. Jekyll and the Wolfman show up. From what I’ve seen so far, I would give Penny Dreadful a B- or a C+: A for setting and cinematography, B+ for acting, and C- for story. If subsequent episodes ditch the cliched symbolism and the stock horror situations, they will earn a higher grade. Editor’s Note: Penny Dreadful airs on Showtime East (DISH channel 318) on Sundays at 9:00 p.m. CST. The date is January 6, 2014. Vivek Khemka’s Google Glass buzzes. Picking it up, he reads, “The excitement rating for tonight’s College Football National Championship Game is 96.” He says to it, “record”, and a field on the big screen behind him acknowledges the order. Khemka says that the Super Joey adds two new tuners to the Hopper-Joey platform. With this addition, the viewer can record up to eight programs at the same time, including the four major broadcast networks, and four more channels of the viewer’s choice. There is more, he says. In upgrading the Hopper-Joey platform, Dish Network has arranged partnerships with Control 4, Buddy TV, Thuuz, and Southwest Airlines, among other firms. Control 4, a home automation company, will have its software incorporated into the Hopper, so the one device can control all of the home’s smart appliances. 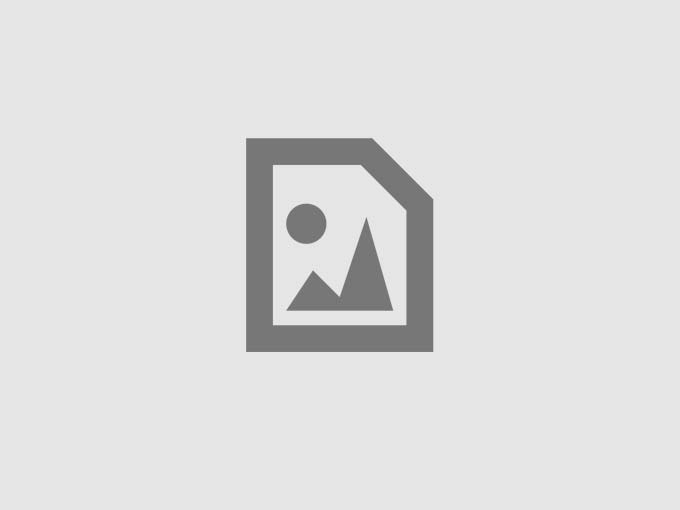 Buddy TV is an entertainment website. It publishes actor biographies, movie and TV show reviews, celebrity photos. personality quizzes, episode videos, slideshows, and user forums; and it will incorporate these into the Hopper-Joey platform. Thuuz alerts its subscribers to major sporting events, tracks where they can be watched, and can be integrated into the viewer’s fantasy leagues, making it easier for him to follow all relevant games and monitor his standings. Southwest Airlines has agreed to provide Hopper-connected iPads to its passengers on certain flights. Southwest wants to improve the entertainment options for its passengers, and Dish Network hopes that travelers, having experienced the Hopper, will want it for their homes. Later on, Dave Schull takes the stage. He is Dish’s Executive Vice President and Chief Commercial Officer. He brags that his company has more than met its affordability objective, with the two-year consumer cost of the Hopper-Joey system being 30% to 45% lower than DirecTV or TiVO systems with similar capabilities. He says that the company’s second major objective is mobility. The company wants its Dish Anywhere application to make the Hopper the entertainment hub for the entire house, transferring its content to iPhones, iPads, Android tablets, game consoles, Kindle Paperwhites, and later to smart watches. Schull says that his third major objective is ease of use. Acknowledging that some viewers can be overwhelmed by the variety of available programming, he says that his company seeks to make its products easier to use with voice recognition, on-screen guides, and on-screen hints based on the viewer’s previous selections. Editor’s note: the first Super Joey units available to consumers reached the market in mid-April.